Maharishi School ranks amongst the top 2.5% of all schools in the UK. Maharishi School in Lancashire has been granted “Free School” status by the UK’s Department for Education, joining 23 other new state-maintained primary, secondary and all-age schools in England. Free Schools are part of the British government’s new initiative to raise school standards across the country and tackle educational disadvantage. The new Free Schools, funded by the government, have greater freedoms than local authority-run schools: They are run by teachers–not local councils–and have freedom over such key educational components as the length of the school day, curriculum content, and how money is spent. Demand from parents for a unique, new type of education for students and families spurred the launch of the Free Schools. The UK Department for Education reported that “over the past ten years the gulf in achievement between the rich and the poor has widened and the attainment gap between fee-paying schools and state schools has doubled.” Free Schools are part of the government’s strategy to narrow that attainment gap. Although Maharishi School has a non-selective academic entrance policy, the School has been rated “Outstanding”—the top category used by Ofsted, the Office for Standards in Education, Children’s Services and Skills, an independent organization which reports directly to Parliament. In addition, Maharishi School’s GCSE (General Certificate of Secondary Education) examination results rank the School not only amongst the highest in Lancashire, but also in the top 2.5% of all schools nationally. These results have been consistent since Maharishi School opened 25 years ago. 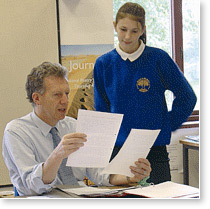 Maharishi School Head Teacher, Dr. Derek Cassells, commented that the School’s exceptional results are due primarily to its implementation of “Consciousness-Based Education,” which incorporates the the Transcendental Meditation program to achieve balance in the pupil’s physiology, and complements the School’s traditional, broad, and balanced curriculum. Dr. Cassells explained that “Consciousness-based Education directly develops receptivity, intelligence, creativity, neurophysiological integration, and better health in all students irrespective of their background, faith, attitudes, gender, or abilities. This is because the quality of the students’ awareness is fundamental to successful educational outcomes. “Likewise, all of the teachers at the School benefit tremendously from their morning and evening practice of the Transcendental Meditation technique which gives them the relaxation and alertness to manage every class effectively. It is these benefits for pupils and teachers that are inspiring schools all over the world to introduce Consciousness-based Education,” Dr. Cassells said. 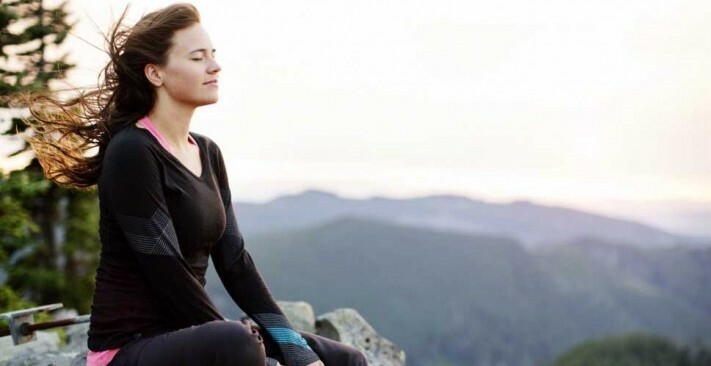 Currently schools and universities in 50 countries, totalling hundreds of thousands of students, have begun including the practice of Transcendental Meditation as part of their curriculum. Maharishi School and Maharishi University of Management in Fairfield, Iowa, are considered pioneers of Consciousness-Based Education in the United States.